Larramie Cortez Shaw was born on the 24th April 1992 in Atlanta, Georgia USA, and as Doc Shaw is a Young Artist Award-winning actor, model, and rapper, probably best known for his roles as Malik Payne in “House of Payne” (2006-2012), Marcus Little in “The Suite Life on Deck” (2009-2010), and as King Boomer in “Pair of Kings” (2010-2013). Shaw’s career started in 2006. Have you ever wondered how rich Doc Shaw is, as of late 2016? According to authoritative sources, it has been estimated that Shaw’s net worth is as high as $750,000, an amount earned through his successful acting career now spanning 10 years. In addition to playing on television, Shaw has also appeared in films and in several advertising commercials, which have improved his wealth too. Doc Shaw was born the only child of Larry and Tamie Shaw, and from an early age, his father got him into a modelling career, where he moved up ans onwards quickly, particularly appearing in numerous ads at that time. His dad died in a car crash in 1994, but Doc continued his career, and in 2006 he was cast in the role of Malik Payne in the TBS sitcom called “House of Payne”, created by Tyler Perry. The show follows the story of a multi-generational family that lives together under one roof, and Doc played in 67 episodes which aired from 2006 to 2012. 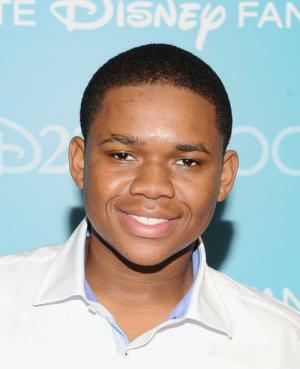 From 2009 to 2010, Shaw also appeared in 26 episodes of “The Suite Life on Deck”, while from 2010 to 2013, he starred in Primetime Emmy Award-nominated series called “Pair of Kings”, both of which improved his net worth to a large degree. The latter series follows the story of teenage twins from Chicago who discover they are heirs to the throne of an island nation, leading to Doc playing King Duke ‘Boomer’ Parker in 67 episodes. Further, Doc made his rapping debut during the series, performing “Top of the World” which was the theme song from the series. In 2012, he was cast in John Whitesell’s movie “Thunderstruck” starring Kevin Durant, Taylor Gray, and Jim Belushi, while in 2014, Doc appeared in an episode of the sitcom “See Dad Run”. Most recently, Show had a part in Matt Reeves’ Oscar-nominated “Dawn of the Planet of the Apes” (2014) alongside Gary Oldman, Keri Russell, and Andy Serkis. The movie earned almost $710 million worldwide, and helped Doc to increase his net worth significantly. Regarding his personal life, Doc Shaw is currently single and doesn’t have previous marriages or any children, nor are there any rumours of romantic relationships.. He is quite active on social networks such as Twitter and Instagram and has a great number of followers on Twitter. Pair of Kings 2010 TV Series performer: "Top Of The World"